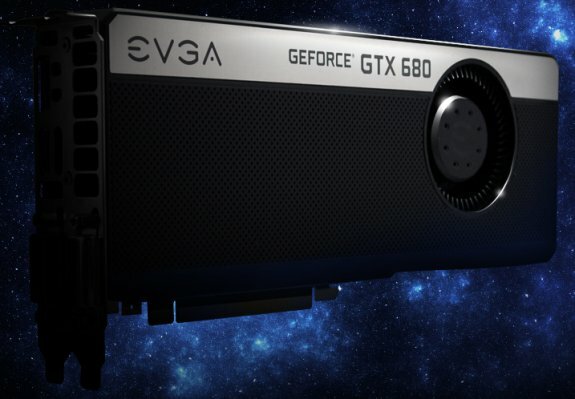 EVGA is one of the few companies to release custom GeForce GTX 680 cards. While all previous announcements where reference-based cards, EVGA delivers five different GeForce GTX 680 cards! It includes the reference model, a SuperClocked edition with higher clockspeeds, a FTW version with custom cooler and higher clockspeeds than the SuperClocked model, a Classified edition with even higher clockspeeds and the watercooled HydroCopper. 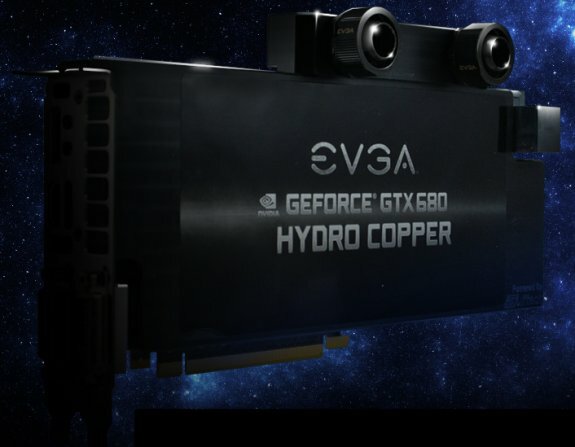 Full details at EVGA, the FTW and HydroCopper are pictured below. EVGA members can also download the new Precision X, an utility that promises to redefine overclocking tools. Introducing the next generation of GPU overclocking software: EVGA Precision X. Designed from the ground up to support the latest GPU technologies, EVGA Precision X redefines what overclocking software should be. This program allows you to fine tune your EVGA graphics card, including GPU Clock speed, GPU Voltage, Memory Clock speed and Fan speed. Want to watch what your graphics card is doing in your favorite game? Load up the integrated monitoring and see all your graphics card vitals from right inside your game. Want to setup a custom Fan Curve? Hit the Fan Curve button and set up a custom Fan Slope. Compatible with nearly every EVGA graphics card!